There are several lodging options. You can “rough it” and backpack in a camp or reserve a spot at a camping park, or you can stay at a ranch-style hotel, regular hotel, or resort. I do not recommend renting a house because the area is in a national park. The weather in the summer is unpredictable and can change at a moment’s notice. Bring clothes that you can layer. Hiking pants that can zip to shorts, tee-shirts, thermals, and windbreakers are necessities. Try the seafood! 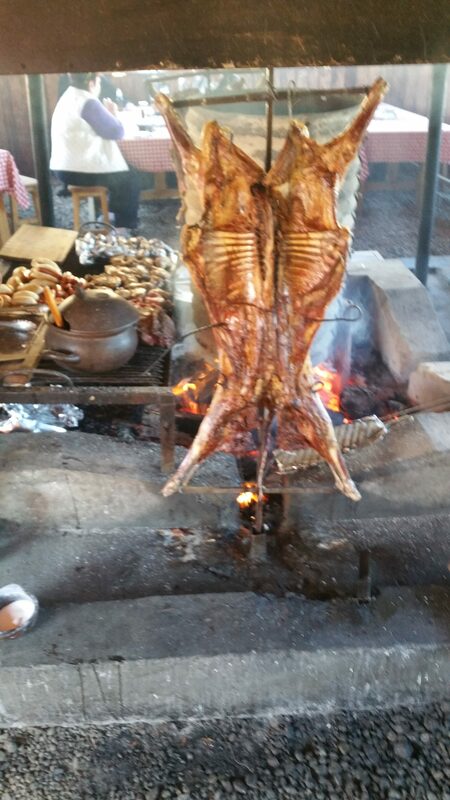 Chile has excellent seafood and locals eat a lot of it. 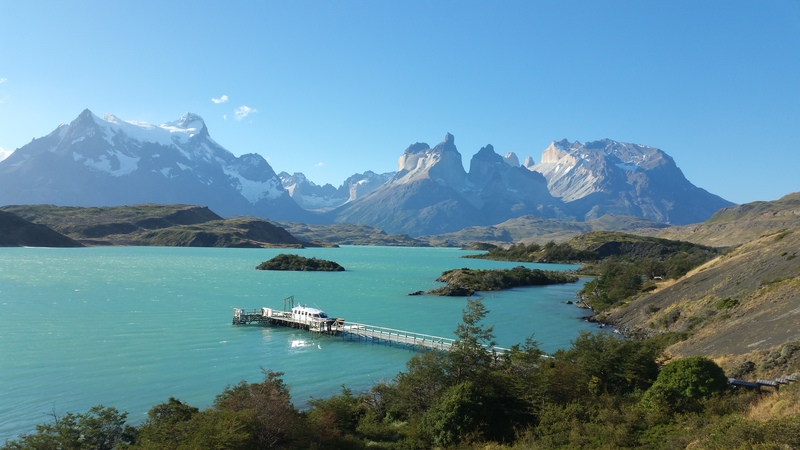 Given there are 2,570 miles of coast, Chile has excellent seafood and locals eat a lot of it. Be sure to try the delicious seafood. Pack hiking clothing that can be layered; rain at a moment’s notice during the summer is inevitable. 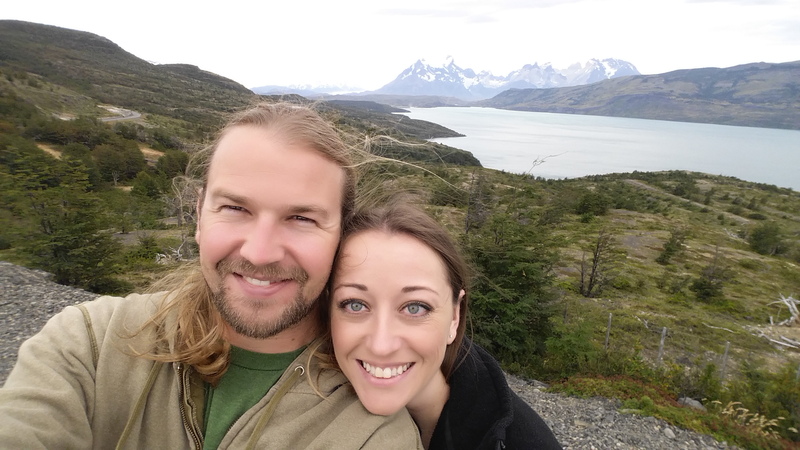 Recently married, we were finally waiting to board our plane and travel to Torres del Paine, Chile. It was quite the journey. 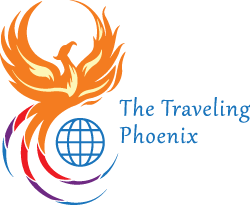 Our trip began in Phoenix and first took us to Miami’s airport where we had a three-hour layover. 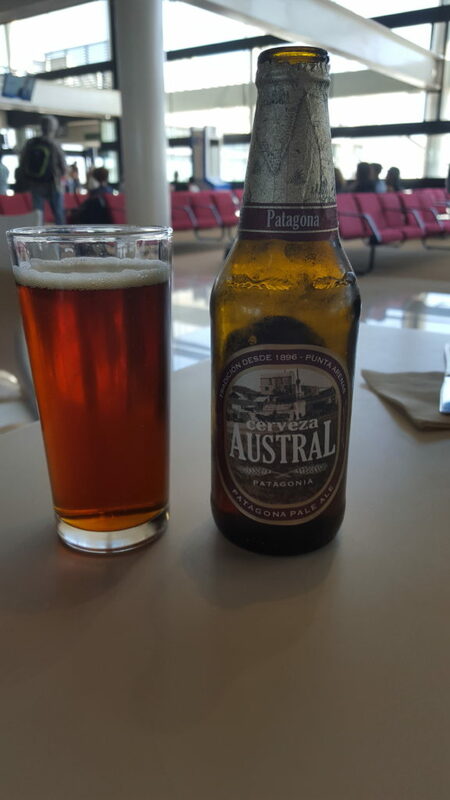 Next, we landed in Santiago with another long wait. We had lunch and a few local beers followed by a nap on a bench to rest our eyes. It was time to catch out plane to Punta Arenas. 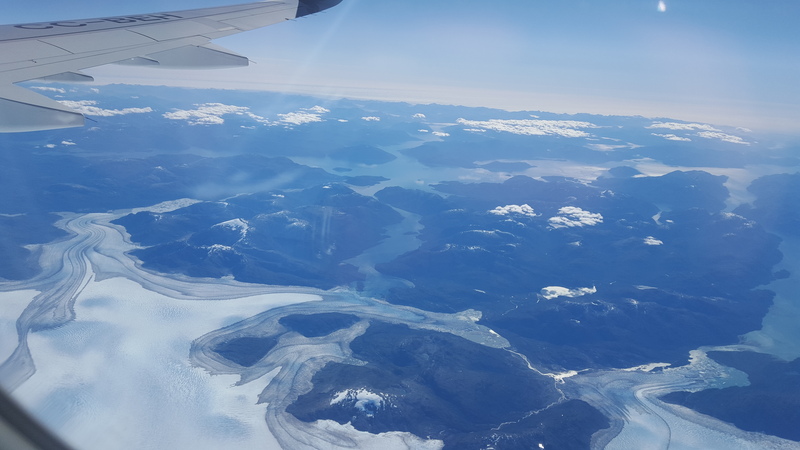 We made one brief stop in a city between Santiago and Punta Arenas and then we were back in the air. 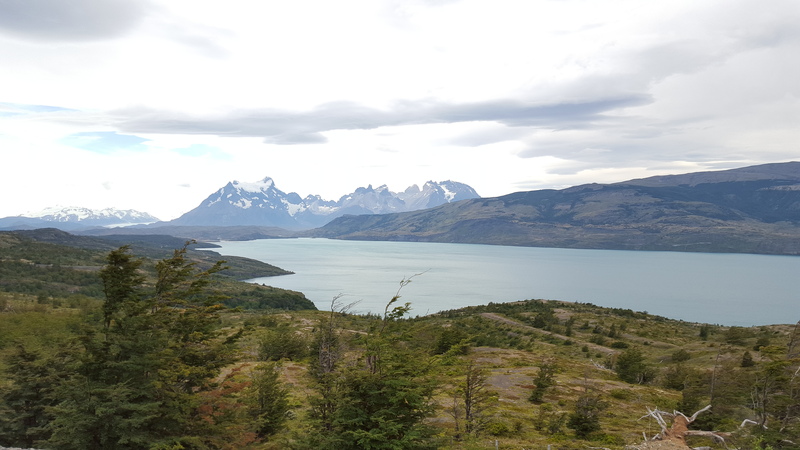 Gazing out the window, we could finally see Patagonia. It was so beautiful from the air, and I was beyond excited to land and explore the area. The passengers on the plane were also excited; unlike airlines in the states, virtually everyone was standing and looking out of the plane’s windows—from the right then to the left and back to the right. 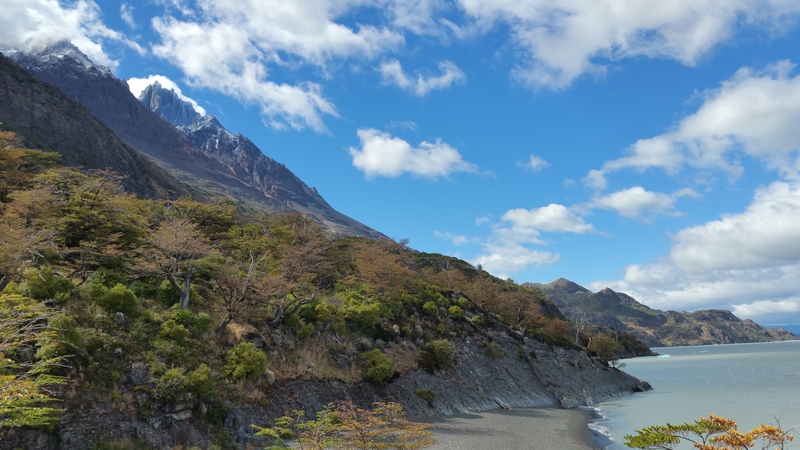 We landed in Punta Arenas and made our way to our hotel to stay for the night, as our journey was still not complete. My husband and I love to explore new areas and try local foods and beers, so we walked around for a bit. 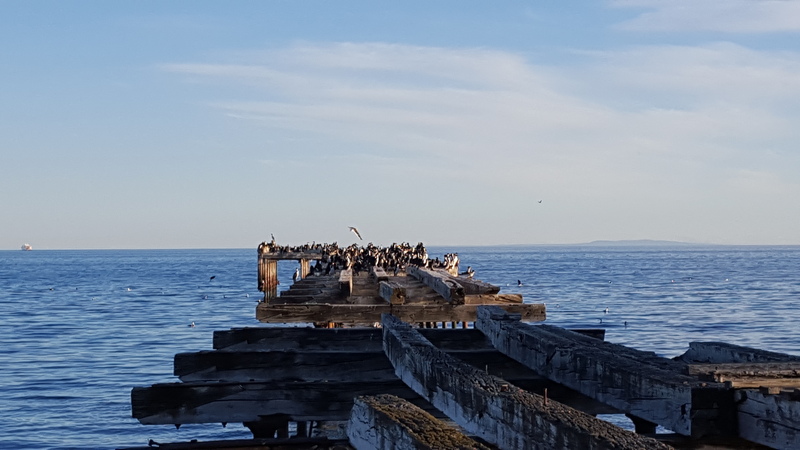 First, we walked to the waterfront where we saw the Strait of Magellan, with penguins hanging out on the docks and stray dogs running around. We wandered into La Luna to enjoy some food and beers. We were fairly far south and it was summer at the time, so the sun didn’t set until approximately 10 p.m. I was reminded of the summers in Washington state (where I grew up). 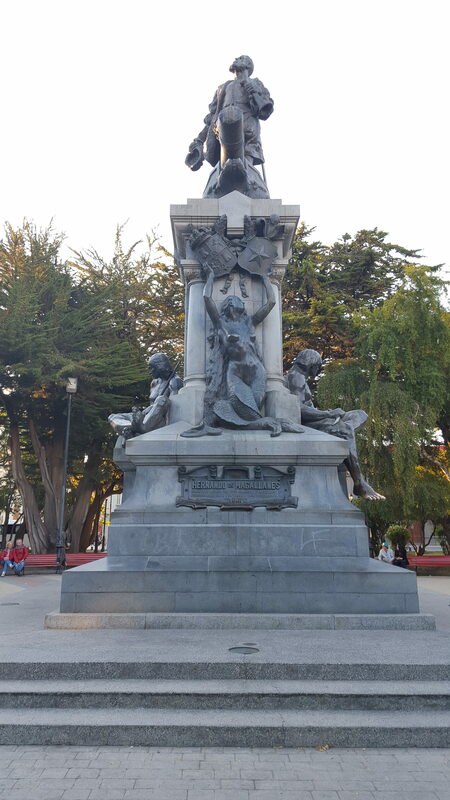 As we made our way back to the hotel, we passed thee Memorial to Ferdinand Magellan who circumnavigated the earth in 1520. 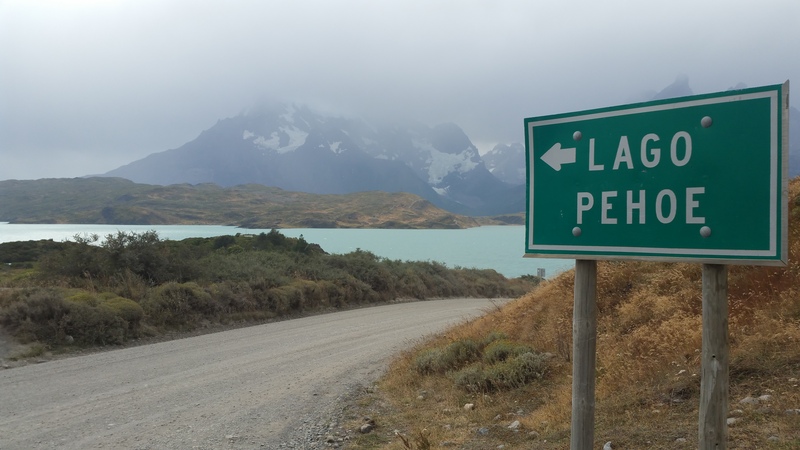 The next morning, we prepared to make the final leg of our journey to Torres del Paine. We awoke early and waited for the resort van to pick us up for a five-hour drive. Because the drive was extensive, we stopped at a small restaurant for breakfast. 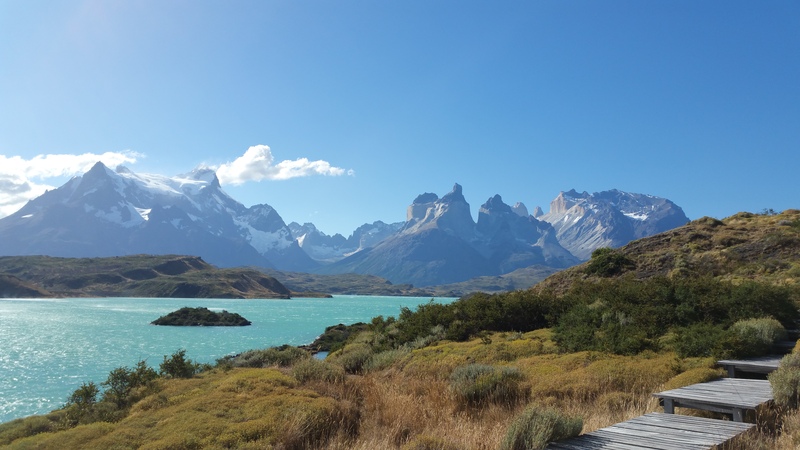 Back in the van, we came around a bend where we could see the infamous mountain range in the Torres del Paine National Park. It was more than I imagined (and I have a very special place in my heart for mountains). The driver was kind enough to stop and allow us to exit the van and take some photos. We were definitely not expecting it to be so cold! It was their summer, after all! Finally, after three flights, a hotel night’s stay, and a five-hour drive, we arrived at the resort for some wine and gorgeous views. 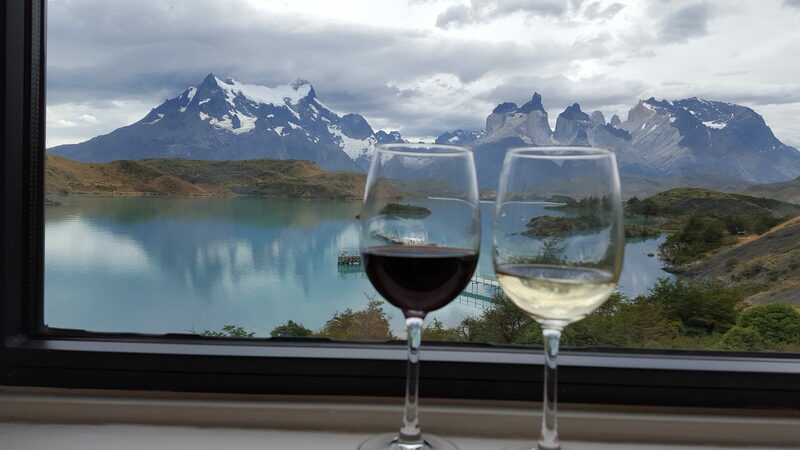 Enjoying the view with some wine after a long journey. Our trip was off to a very good start; despite the long journey, we didn’t experience any issues except that we were totally unprepared. Prior to leaving on our trip, we read the website which recommended hiking apparel, such as hiking shoes, pants that you can turn into shorts, windbreakers, and layers for tops. We thought, “It’s summer there, so we’ll be fine. We won’t need all of those hiking clothes” and we didn’t pack any of the recommended items, except for our hiking shoes. 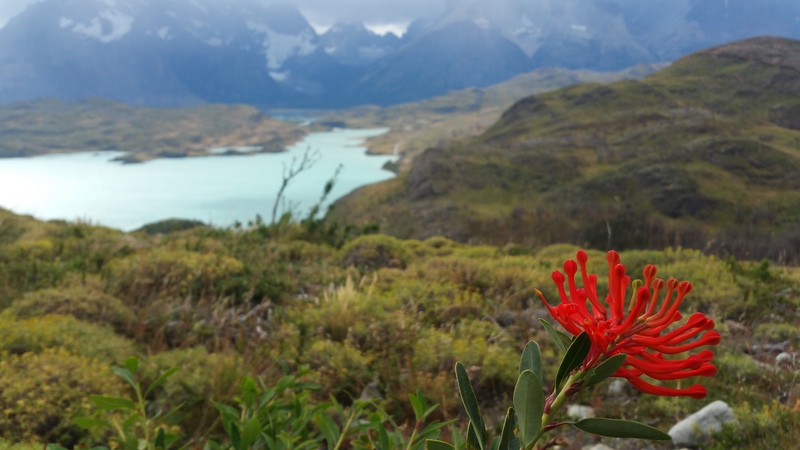 We decided to take a short hike to look over the Lago Pehoe. It was fairly windy, but not very cold. The hike itself was nice and short and only took about two hours. 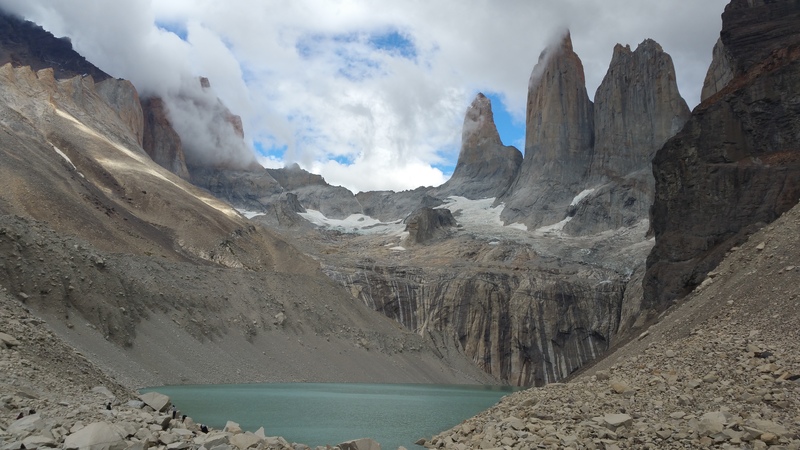 Later that day, we were briefed about the hikes, the history, and the geography of Patagonia and informed once again about the recommended hiking clothes. This time, we were told that the summers here are very windy and the weather changes at any minute because of the cold air from the south mixing with the warm air from the north. Now I was getting a little nervous, but I still gave it little thought. 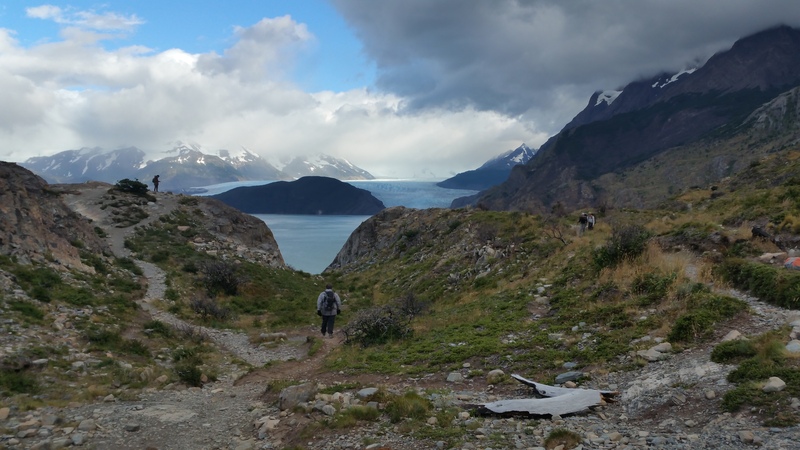 On our first full day, we signed up for a hike to the Gray Glacier. The skies looked as though the rain might come pouring down at any time, but I was still trying to remain positive about our lack of hiking clothes. Our guide met us, looked at my husband and me, and asked if we had windbreakers and fleeces. Both of us looked at one another and then back at the guide, replying “Oh yes, they’re just in our room.” Neither of us could bare telling the truth because at this point we both felt like total idiots. So, in our jeans and sweatshirts, we headed on the hike in the face of strong winds and frigid air. The wind cut through us and chilled us to our bones. Then a light rain began. “I can get through this and I won’t freeze the whole time,” I thought to myself. I did warm up a bit as we started our hike and fortunately the rain stopped, but the wind persisted. As long as we were moving, I warmed up quite a bid, but whenever we stopped, I quickly became very cold. 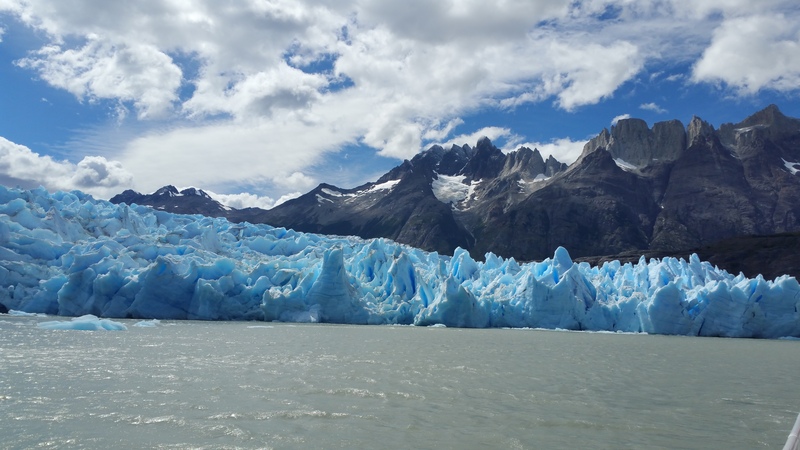 We made it to the end of our hike and waited to climb aboard the boat that would take us to see the glacier. Fortunately, we were not late to take the boat; our guide told us a story about a group that missed the pick-up time because the boat had arrived early. Missing the boat means going back the way you came, so be sure to arrive early! Waiting for to boat to pick us up. 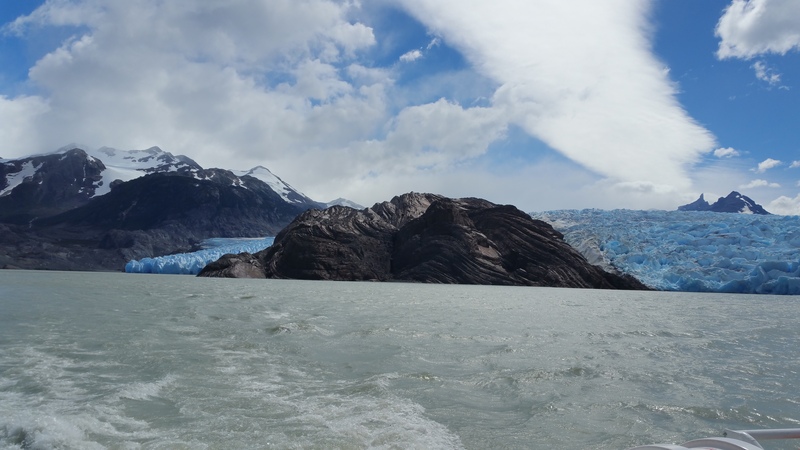 We boarded the boat and headed toward the glacier. It was like nothing I have ever seen before. It was tall, white, and its cracks are a beautiful royal blue in color. We stepped outside the boat to take several photos and were blasted with the cold wind and air… again. Going by the Gray Glacier from the boat. Gray Glacier has carved the rock to be wavy. 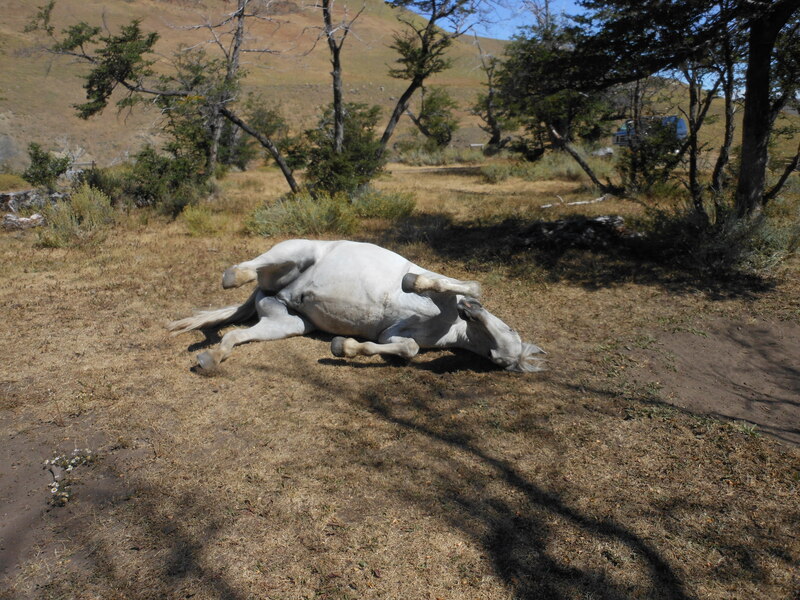 The next day, we decided to venture on a half-day hike with a quincho (a south American barbeque lunch) that ended with a half-day horseback ride. As we headed to the trail, we still had an incredible view of the mountains. 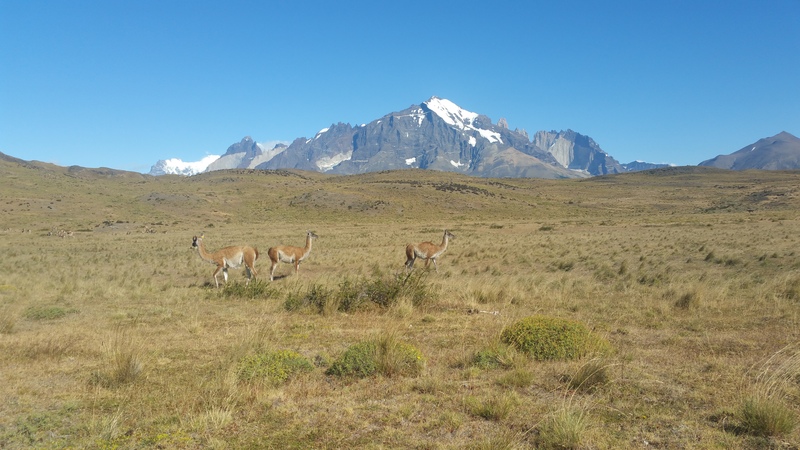 We were told there were several pumas that lived in the area because it was filled with guanacos (similar to llamas) and pumas loved to hunt them. 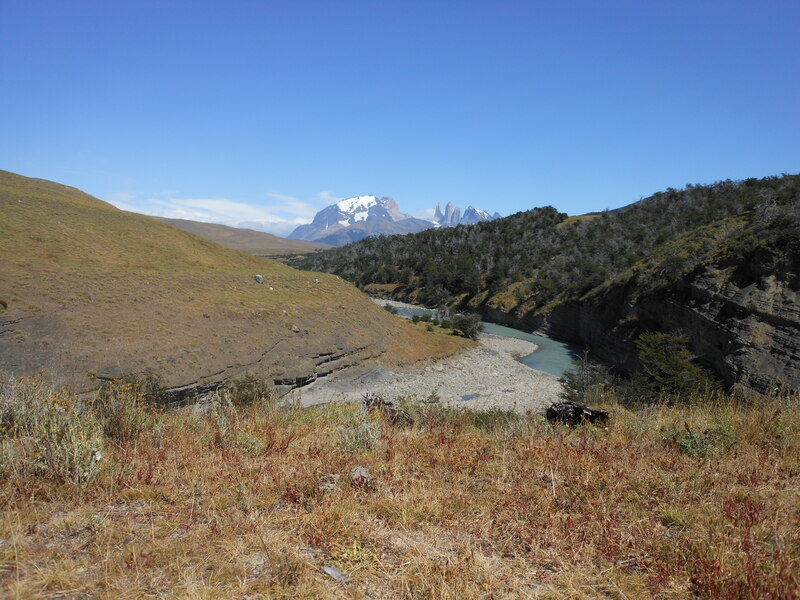 After the leisurely hike we had some delicious food at the quincho and had another spectacular view of the area. Done with lunch we were assigned a horse for our ride. I used to ride horses when I was younger and was comfortable. Thank goodness because my horse, Chewpleka, had a pecking order issue and wanted to be in front. She even tried to get ahead of the guide. 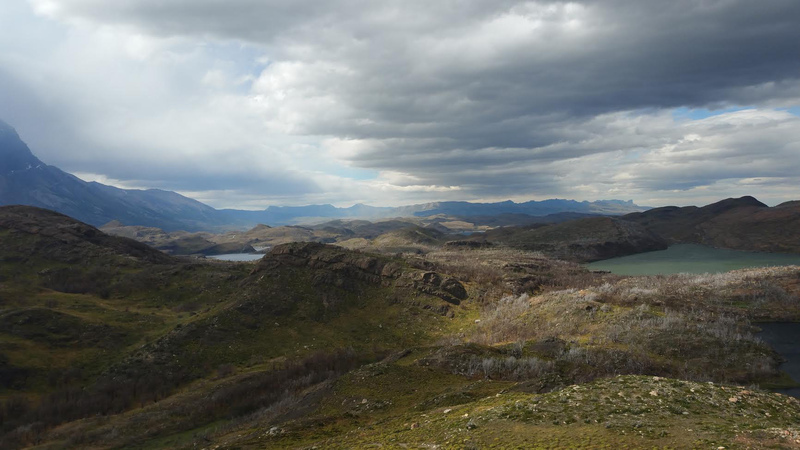 On our third and final day, we signed up for the Mirador Las Torres hike. This was our toughest hike of the trip but totally worth it. The hike began with a very steep incline but leveled off for a little break through the camping site, then headed, what felt like, straight up. 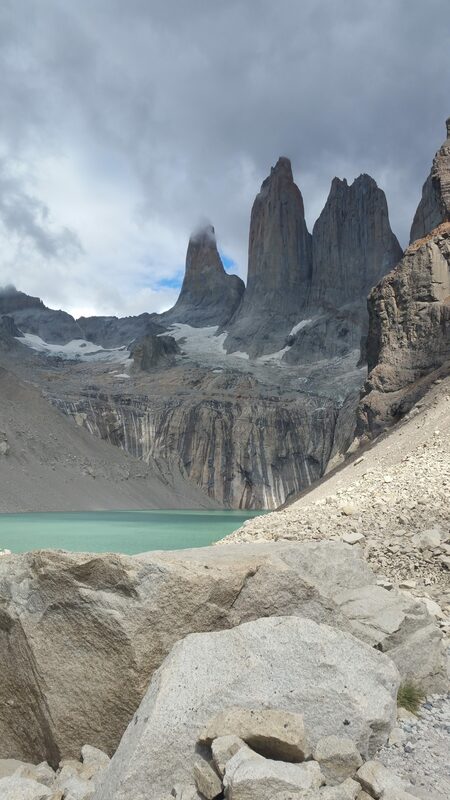 Climbing over boulders, we made it around a corner to see the two towers. It was such a surprise to see the water at the base. Despite not having packed the appropriate clothing, I still wouldn’t change this experience for anything. As a lesson learned, however, you should definitely follow the packing guidelines for whatever destination you plan to visit—you’ll be glad you followed the experts’ advice.